Progressive Charlestown: Looking for a diet fix? Looking for a diet fix? "Our results add to the evidence that dietary interventions are as effective as -- or more effective than -- antihypertensive drugs in those at highest risk for high blood pressure, and should be a routine first-line treatment option for such individuals," says Stephen Juraschek, M.D., an adjunct assistant professor at Johns Hopkins and an instructor of medicine at Harvard Medical School. While both low-sodium and DASH diets have long been known to prevent or lower high blood pressure, Juraschek says the new study was designed to examine the effects of combining the two diets in adults with early or modest forms of high blood pressure -- those considered to be at greatest risk for developing more severe forms of hypertension known to increase the likelihood of stroke, kidney disease, heart attacks and heart failure. All participants were also fed 50 (low), 100 (medium) or 150 (high) mmol/day of sodium in random order over four-week periods. Fifty mmol/day is equivalent to 1,150 mg of sodium. A teaspoon of salt is equal to 2,400 mg of sodium. A diet that includes 100 mmol/day of salt is equivalent to 2,300 mg of sodium -- or nearly a teaspoon of salt. This is the maximum level of sodium intake recommended by the U.S. Food and Drug Administration (FDA) and is thought to reduce the risk for heart disease and stroke. 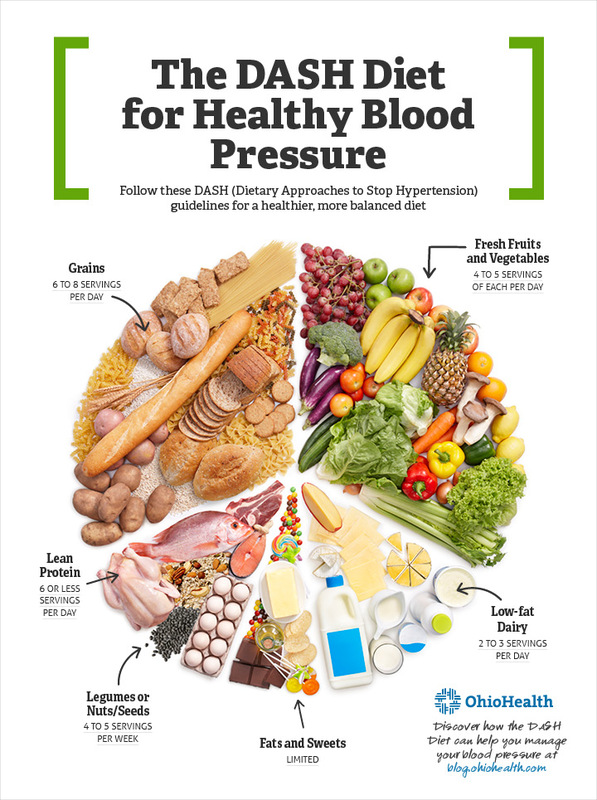 "What we're observing from the combined dietary intervention is a reduction in systolic blood pressure as high as, if not greater than, that achieved with prescription drugs," says senior study author Lawrence Appel, M.D., M.P.H., professor of medicine at the Johns Hopkins University School of Medicine. "It's an important message to patients that they can get a lot of mileage out of adhering to a healthy and low-sodium diet."